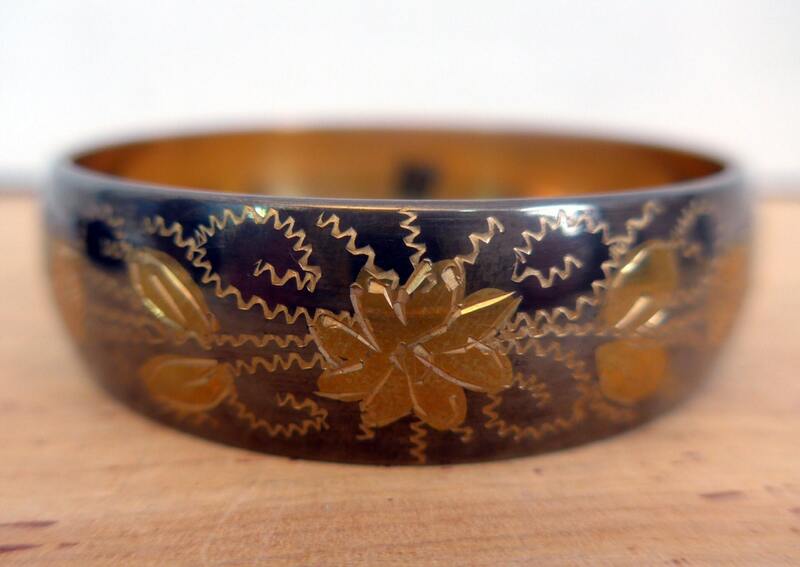 Lovely etched bangle bracelet that features flowers, leaves and vines. 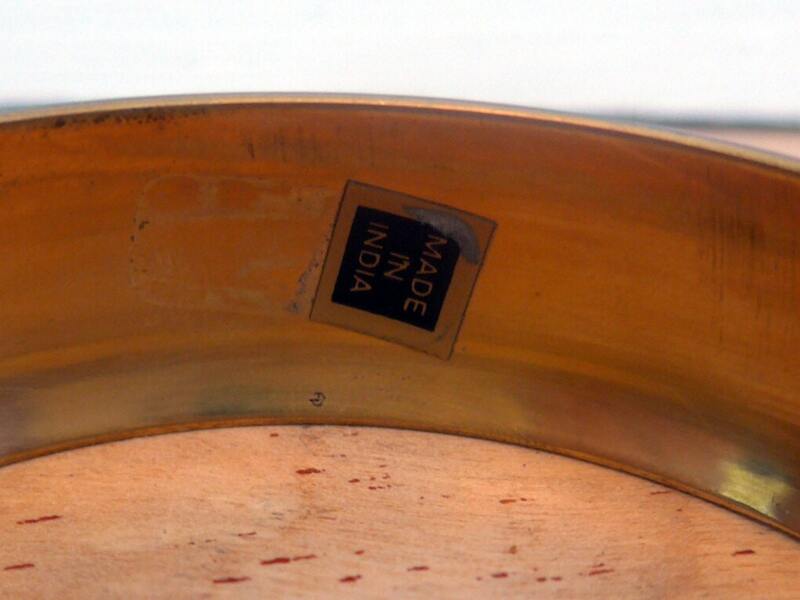 This bangle bracelet still has the original sticker on the inside that says made in India, which would explain why it still looks so great - I would guess that it has never been worn. 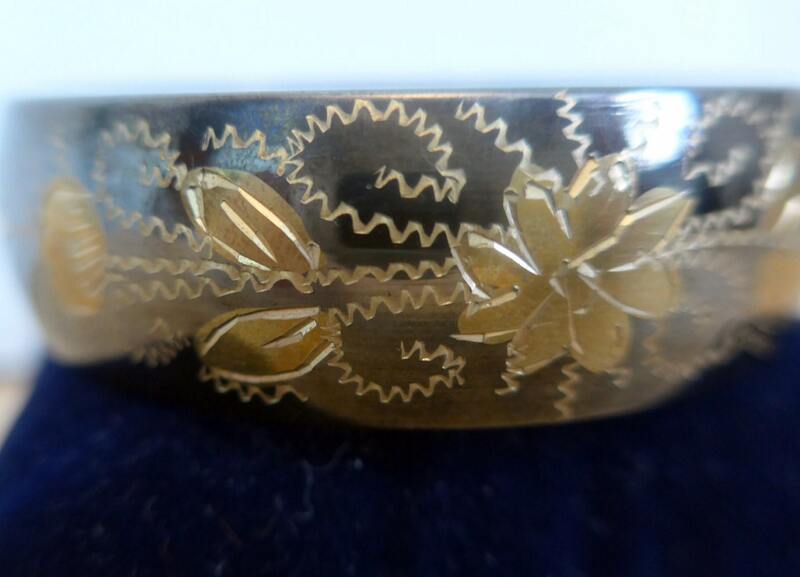 Not sure if this is niello etching - see note below. In great vintage condition with little to no sign of wear. Inside diameter measures approx. 2 7/8". 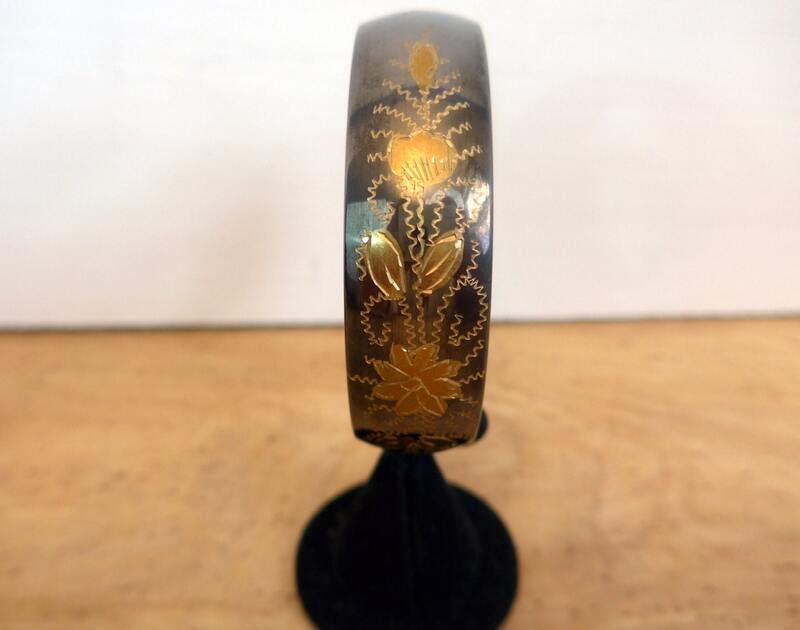 The bracelet is about 7/8" wide. 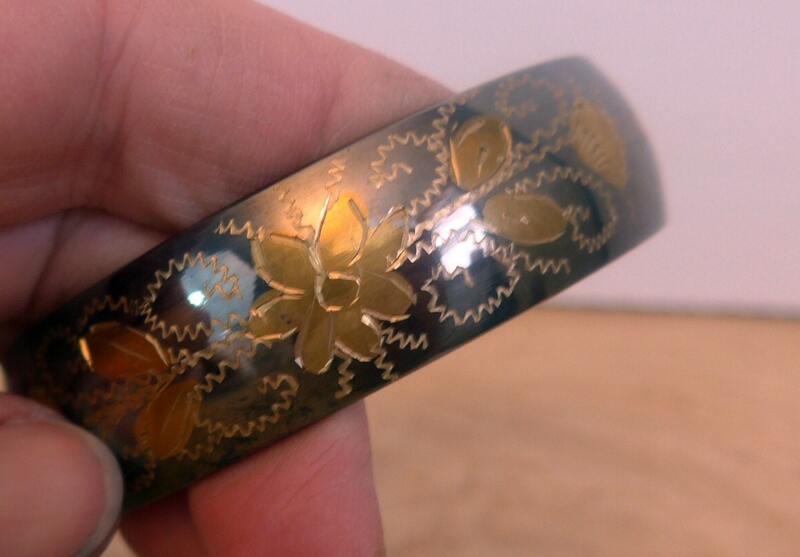 Niello is a black mixture of copper, silver, and lead sulphides, used as an inlay on engraved or etched metal. It can be used for filling in designs cut from metal. The Egyptians are credited with originating niello decoration, which spread throughout Europe during the late Iron Age and is common in Anglo-Saxon, Celtic and other types of Early Medieval jewelry.